As the combination of craft beer and food becomes less of an afterthought and more strategic, not just in brewpubs, but in high-end restaurants, the culinary virtues of craft beer has garnered a new type of craft brewer. One that might on the surface lean on the creative aspects of beer, but with a chef’s knife sharp focus on detail and technique of which an engineer might rely on in a variety of scientific disciplines. Chefs are getting out of the kitchen and into the brewhouse, and the results are not just about creating a meal out of beer, but a beer to better accompany a meal. Based in Santee, California, Finest Made Ales launched in 2016. 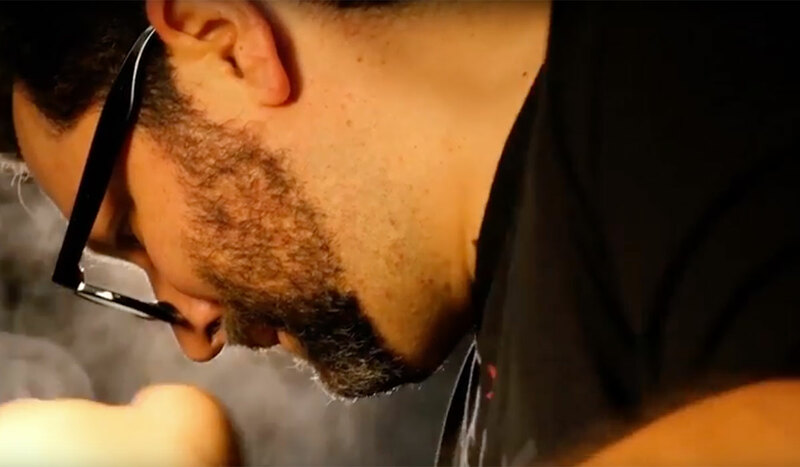 Chef/owner/brewer Rey Knight created Finest Made as a way to combine his love for beer and fine cuisine. Finest Made Ales creates craft beers that strategically pair with specific flavors and themes. 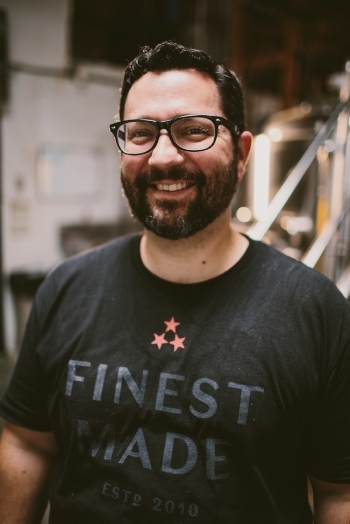 Knight prides himself on infusing culinary soul into every drop, born out of a passion for good food and good beer. He took time out of the brewery to answer some questions in this CraftBeer.com Full Pour. CraftBeer.com: You’re a classically trained chef who spent time in Michelin-starred restaurants in both the United States and France. How does your approach differ when creating beers for Finest Made Ales compared to your previous time in the kitchen? Knight: The approach is no longer about fitting into a style box, like Pilsner, or amber or lager. Sure they are important in the process of making beer, but it’s about the flavors and what you want them to evoke in who is drinking the beer. The style is just the canvas, now you have to paint your style. I like to use seasonal ingredients, so focusing on fresh produce at its peak, like right now citrus, blood oranges and passion fruit are all locally available, so why not incorporate them into your beers? CraftBeer.com: It is safe to say that when it comes to beer, as with food, there are those who are adventurous and those who find comfort in familiar flavors. To that point, how do you use your brewing skills to balance the two types of consumers? Knight: We have what we call the Iron Brewer Challenge at Finest Made. It’s about flavor combinations, local ingredients and most of all, it’s a creative outlet. Think of something that you love — can you embody that into a beer? Let’s try. I love glazed carrots, so if we break that down to elemental flavors what do we have? Once we have the base, what do we add? Well, my favorite glazed carrots are with apple cider, honey and butter. Butter makes the dish silky and helps the carrots to linger on the palate. So I will adjust my malt bill to have a medium body and use some specialty grains that will add the nuance of sweetness. The honey is floral, so I would pick a hop that will give floral notes, and give some herbal notes. We would have to make a decision on yeast, either one that will dry out the beer or leave some residual sweetness. Last, we will look at the water, something with mineral notes to aid in building the earthiness. With all that, what is the result? We will have an orange to amber hued, medium-bodied beer, with noble hop aromas, and touch of residual sweetness. CraftBeer.com: With that you’ve described a blueprint for a beer that resembles that of a dish. What are some of your favorite dishes to pair with your beers? Knight: Right now I’m really digging our Hoppy Pilsner and pairing it with cheddar cheese cauliflower waffle. I also like using beer as an ingredient. This spring I’ll be doing a lot of grilling. New York steaks in Finest Made’s Amber Ale are an awesome and easy spring dinner. CraftBeer.com: One would surmise that the nexus of your two worlds meet in your refrigerator. What’s inside your refrigerator right now? Knight: True to chef’s nature, my fridge is very bare. Right now you’ll find Finest Made’s Hoppy Pilsner, Epoisse cheese and a keto chocolate coconut cake. Rey Knight and Finest Made Ales offers four core beers: a blonde ale, hoppy pilsner, hefeweizen ale and a stout. A handful of seasonal beers grace the menu throughout the year, too. Guests can look forward to a wide variety of styles like a Rye India Pale Ale or Czech Pale Lager. If you ask us, the crossover from chef to brewer is simple, craft beer has food values, but food has no craft beer value. We’d like to thank Rey for taking the time to talk with us. 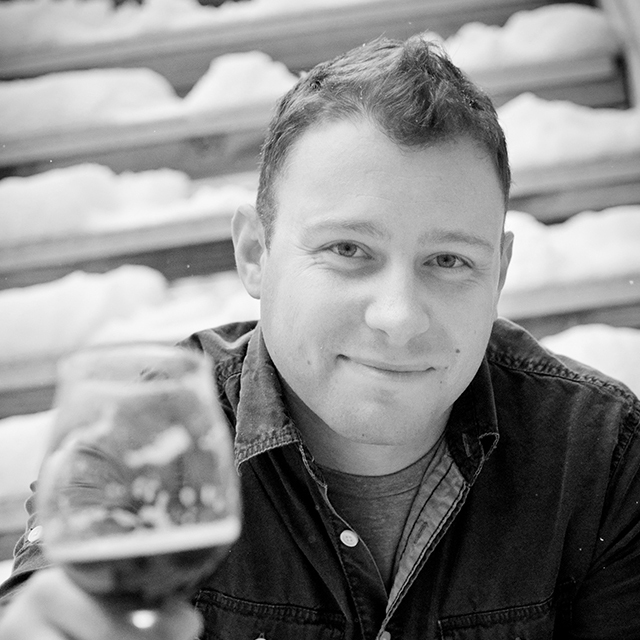 Andy Sparhawk, the Brewers Association's craft beer program digital content editor, is a Certified Cicerone® and BJCP Beer Judge. He lives in Westminster, Colorado where he is an avid craft beer enthusiast. On occasion, Andy is inspired to write on his experiences with craft beer, and if they are not too ridiculous, you might see the results here on CraftBeer.com.